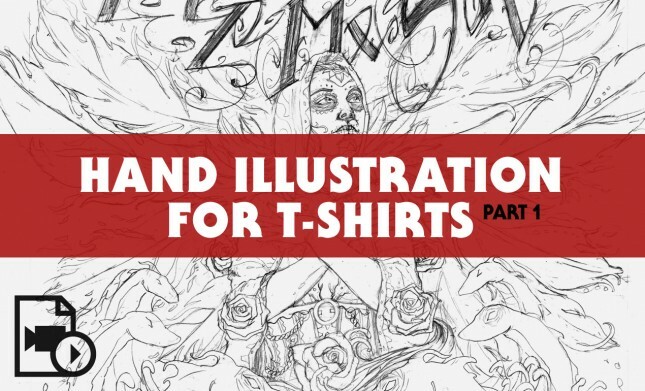 In the 2nd installment of Steve Knerem’s t-shirt illustration tutorial series, we get a behind-the-scenes look at Steve’s process of inking and illustrating a t-shirt design. 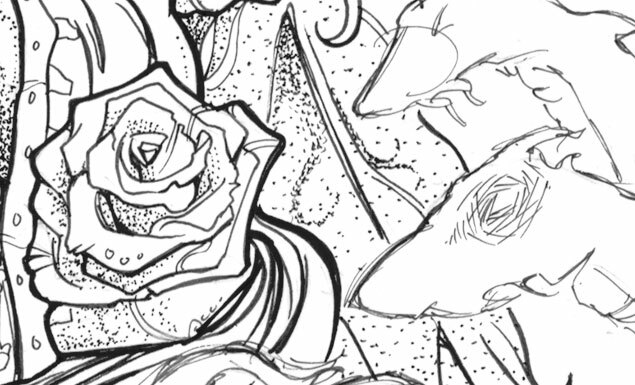 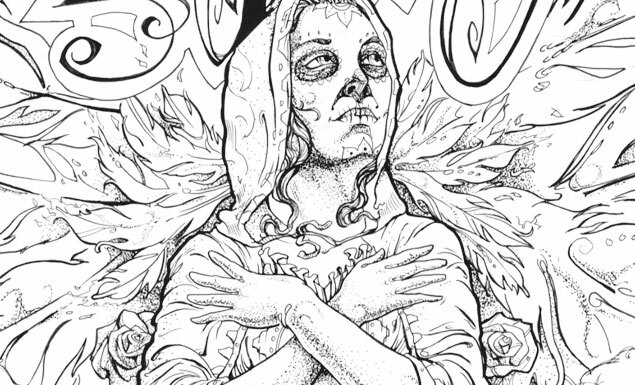 Watch as Steve adds texture through stippling and pointillism, to transform the static look of his sketch to a fully inked illustration. 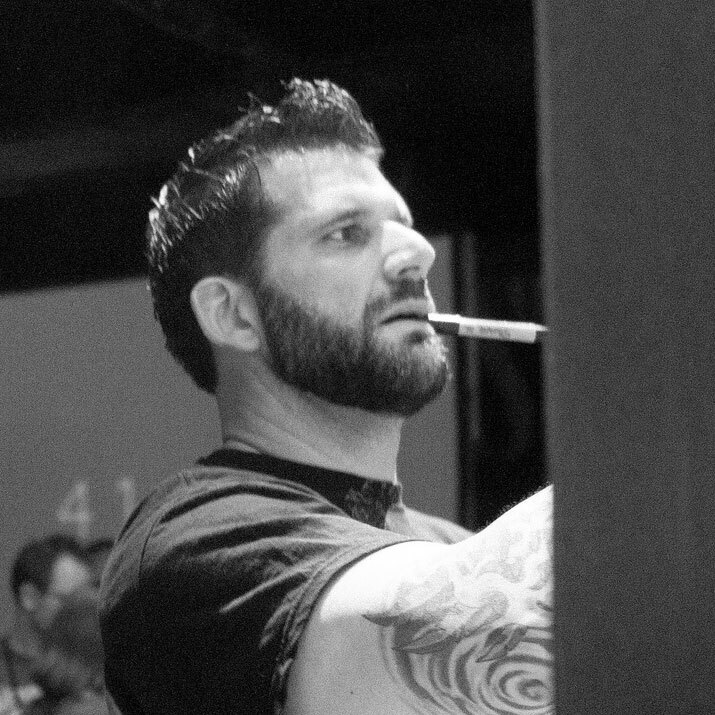 Listen as Steve gives you tips and tricks on how to elevate your own illustrations, and as he lists out his favorite artists, painters, and tattoo artists for your inspiration. 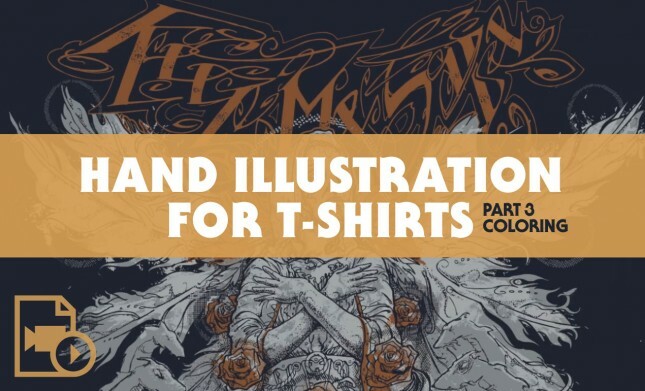 Hand Illustration for T-Shirts Part 1 of 3 – In this one-hour tutorial, Illustrator Steve Knerem lets us peer into the process behind his incredibly detailed t-shirt illustrations. 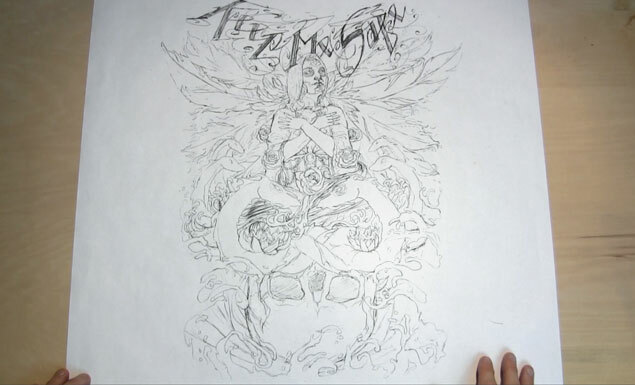 In this first part of Steve’s t-shirt design tutorial series, Steve takes thumbnail concept sketches to a full 19 x 24 pencil illustration. 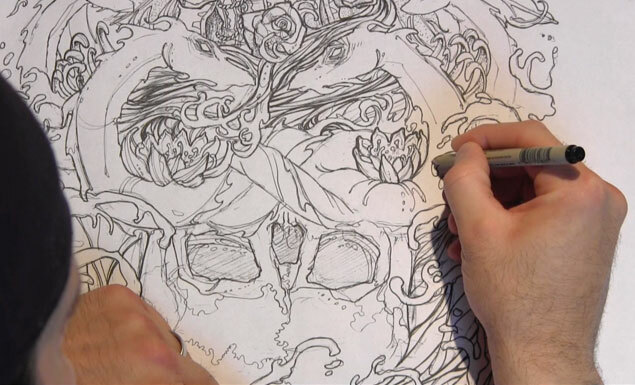 Steve shares his process, frustrations, and drawing techniques. 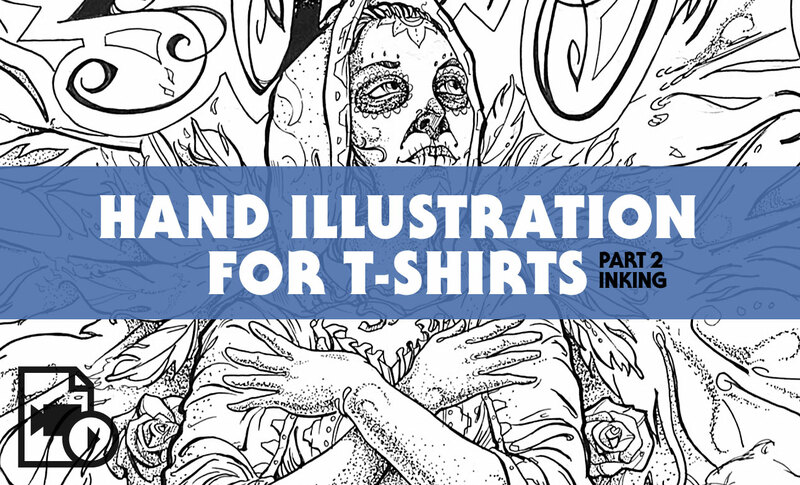 Hand Illustration for T-Shirts Part 3 of 3 – In this 3rd and final installment of Steve Knerem’s t-shirt design tutorial series, we get an in-depth look at Steve’s colorizing and vectorization techniques. 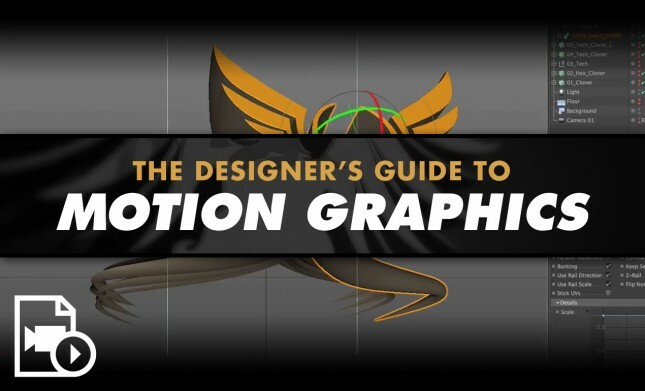 From the color palette choice to exploiting Illustrator’s tools to add halftone patterns, brushes, and other vector elements that bring the final design together, Steve covers them all as he progresses. 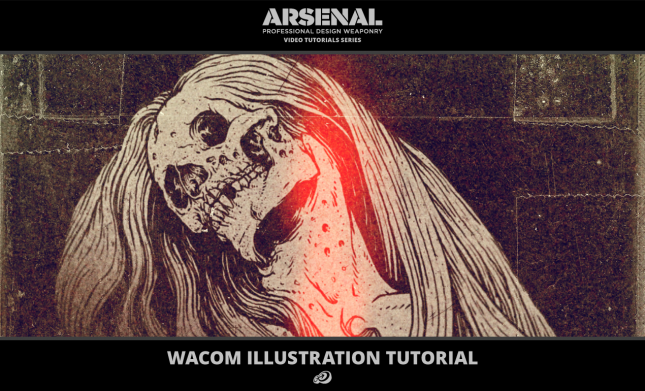 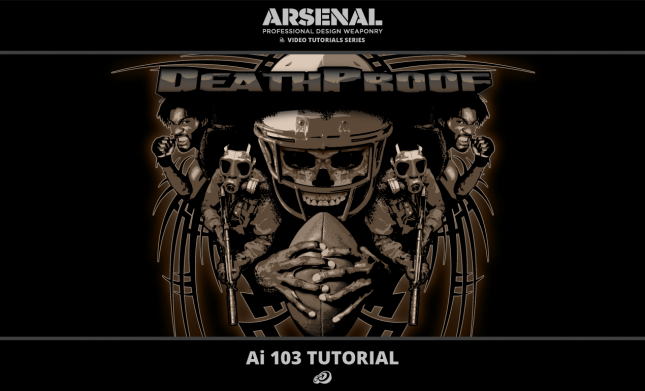 That last part of the tutorial is once again laced with small yet amazingly useful tips accumulated over the years, that make the whole process easier if not a breeze.